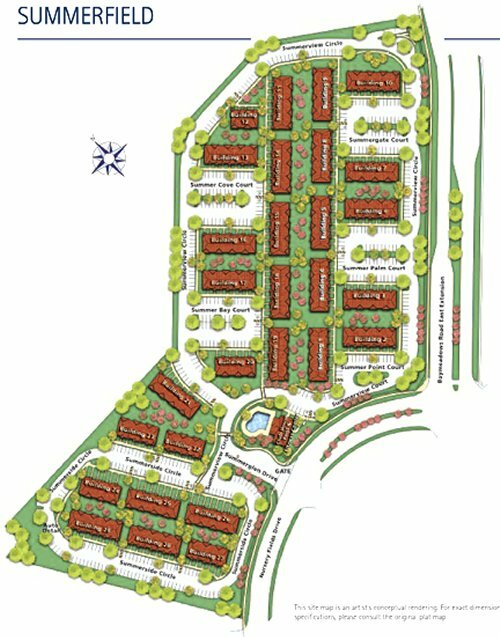 Summerfield townhomes in Jacksonville, Florida. 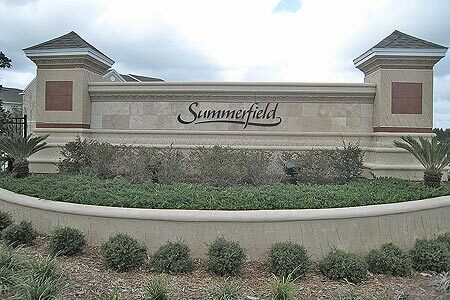 Summerfield is a gated community by Pulte Homes conveniently located in the fastest growing and most convenient area of Jacksonville's Southside. Close to interstates, premiere shopping, businesses, schools, churches, fine dining and the beaches, Summerfield offers an escape to the perfect hideaway on Southside off Baymeadows Road near State Road 9A. Click to view sitemap. 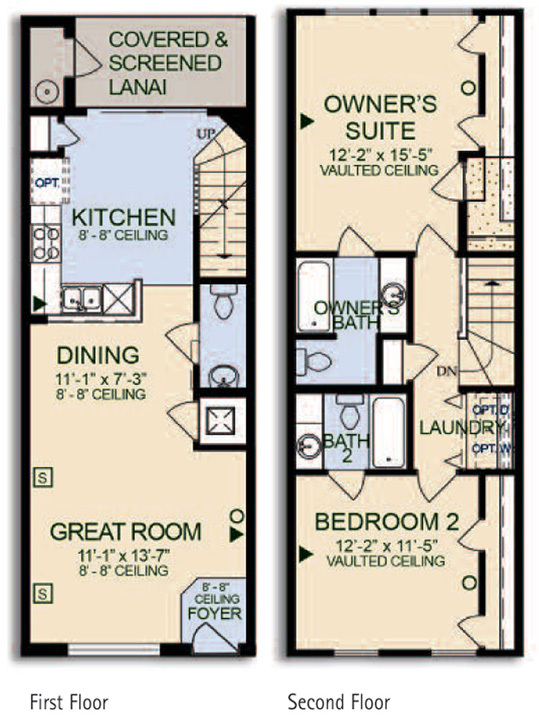 Summerfield offers two spacious floor plans featuring gourmet kitchens, vaulted loft ceilings and screened lanais. An expansive upstairs with owner's suite serves as your private retreat. 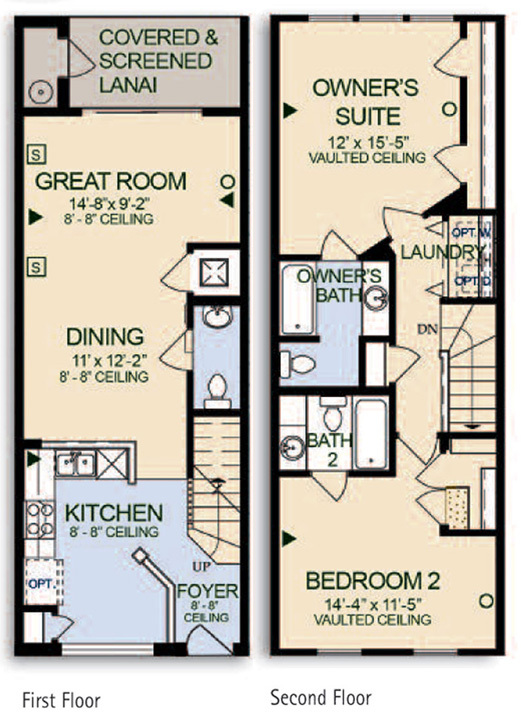 The upper-level laundry and a total of 2 and one-half baths provide additional convenience and value. Recreational center includes a clubhouse, community pool, and state-of-the-art fitness center.